The Rebel Sweetheart. : One FC: Warriors Way | Brandon Vera vs. Igor Subora. 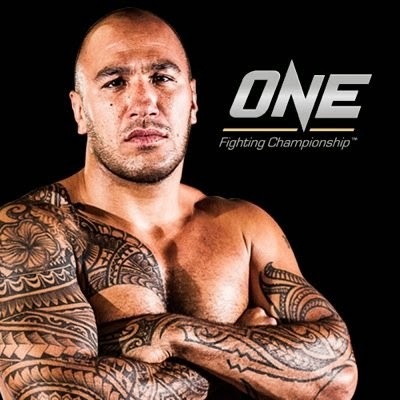 One FC: Warriors Way | Brandon Vera vs. Igor Subora. Brandon Vera's recent signing to One FC created much hype and excitement among mixed martial enthusiasts, especially to Filipino fans. After all, Brandon Vera is a Filipino-American, who's very proud of his heritage and very excited to fight in Philippine soil. After the press conference held last September 3, many have speculated as to who Brandon Vera will be fighting against in his debut match. The guesswork finally ended as Victor Cui, CEO of One FC, made the much-awaited announcement this week. "ONE Fighting Championship will hold nothing back as it returns for another night to remember at the state-of-the-art Mall of Asia Arena in Manila, Philippines", said Cui. "Brandon Vera is a global Filipino mixed martial arts superstar, and ONE FC will finally give fans in the Philippines the opportunity to see him in action live for the first time! He’ll be tested against heavyweight standout Igor Subora. Also, bantamweight champ Bibiano Fernandes will have his hands full against the unbeaten and dangerous Dae Hwan Kim. We have some awesome fights lined up for fans in Manila as Warrior’s Way promises to be the biggest fight card of 2014!" Former URCC heavyweight champion Igor Subora is currently riding a five fight win streak, with all of his wins coming by either submission or TKO/KO. He has never heard the final bell and looks to finish off his opponents within the distance. The Ukrainian is trained in Sambo and aims to demonstrate his elite grappling skills when he steps into the cage against Brandon Vera. One FC 23: Warrior's Way. New ONE FC acquisition Brandon “The Truth” Vera will make his promotional debut and promises to wow fans in Manila as he competes in the Philippines for the first time in his career. Vera is an American mixed martial arts superstar with Filipino ancestry. He has an impressive mixed martial arts record of 12 wins and 7 losses. Vera has faced some of the top light heavyweights and heavyweights in the world. He is also a multiple-time grappling champion, a wrestler in the Air Force and high school. He also possesses excellent Muay Thai skills and some of the most powerful kicks in the business. Tickets for One FC: Warrior's Way on December 5 in Manila are on sale now at SM Tickets (http://www.smtickets.com). Ticket categories begin with the full Red Carpet and cageside experience for VIPs at Php 6,360 followed by Patron Ph 3,180, Lower Box Php 1,280, Upper Box Php 640 and General Admission Php 220. Prices include ticketing fee. Pre-sale packages are currently available. Fans around Asia can catch all the action live on FOX Sports 3. Please check your local listings.